Acclaimed Author Dr. Mehrad Nazari Joins International Group Of Leadership Gurus To Take On United Nations Sustainable Development Goals. SAN DIEGO, CA (October 16, 2018) – Mehrad Nazari, PhD, MBA, multi-award-winning author has been selected by the International Leadership Association (ILA) and the Restorative Leadership Institute (RLI) to author one of 17 chapters for a new leadership manual; Evolving Leadership for Collective Wellbeing: Lessons for Implementing the United Nations Sustainable Development Goals. Dr. Nazari’s qualifying work, Enlightened Negotiation: 8 Universal Laws to Connect, Create, and Prosper (SelectBooks, New York) has won multiple international awards. Evolving Leadership for Collective Wellbeing is a go-to resource for individuals wishing to heighten leadership effectiveness through access to vanguard theory and practice. It highlights stories and insights from leadership practitioners and scholars around the world, in the process offering invaluable insights into diverse lessons, models, and practices, and it offers case and place-based chapters that bridge theory and practice to empower diverse actors around the world. Climate scientists have filed recent reports urging policy makers to “act now,” stating that we are at a pivotal junction in our global society. Dr. Nazari said of the RLI and ILA’s efforts, “In this crucial time we need to take responsibility and act immediately. It is my honor to contribute to this meaningful and much needed work.” It takes more than a plan to work collectively; it requires purpose, compassion, leadership, and constant negotiation. Dr. Mehrad Nazari’s chapter in this book exposes the essence of Enlightened Negotiation – the connective tissue in leadership anatomy – something the RLI and ILA wholeheartedly believe can be of great value to an international audience. The Enlightened Negotiation approach can be used by individuals, organizations, and businesses alike to maximize collective gain and bridge social, economic, and cultural gaps. 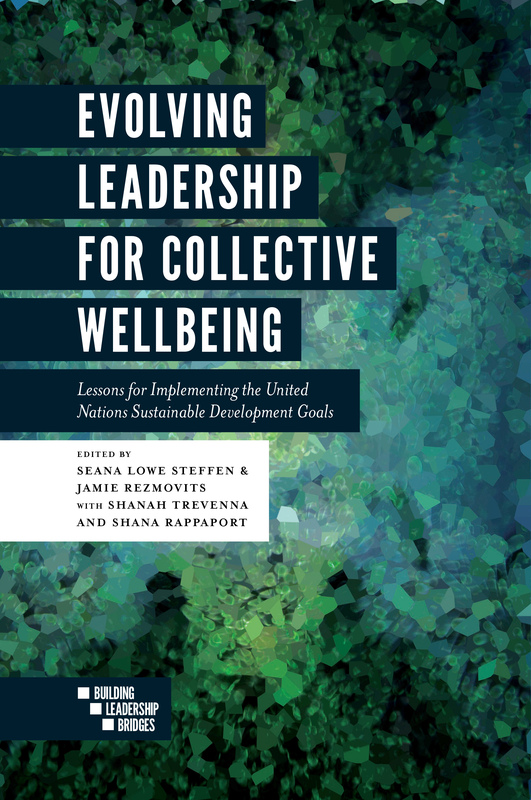 Evolving Leadership for Collective Wellbeing is essential reading not only for leaders and leadership scholars, but also for anyone eager to face the Agenda’s challenge head on. Evolving Leadership for Collective Wellbeing is due to be released in November 2018 by Emerald Publishing, UK.